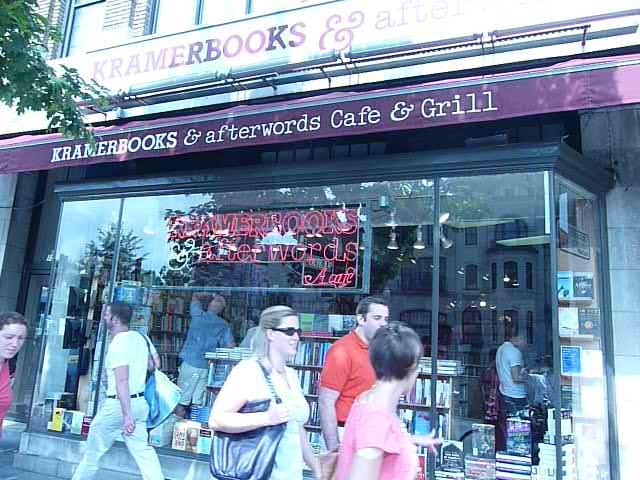 Back on the East Coast I stop in to see Kramerbooks & Afterwords Cafe in DC. This store is great. It’s cool and crammed with books and is just a few steps from Dupont Circle. Their selection of books is smart, and thank to their location they draw in a lot of pedestrian traffic. 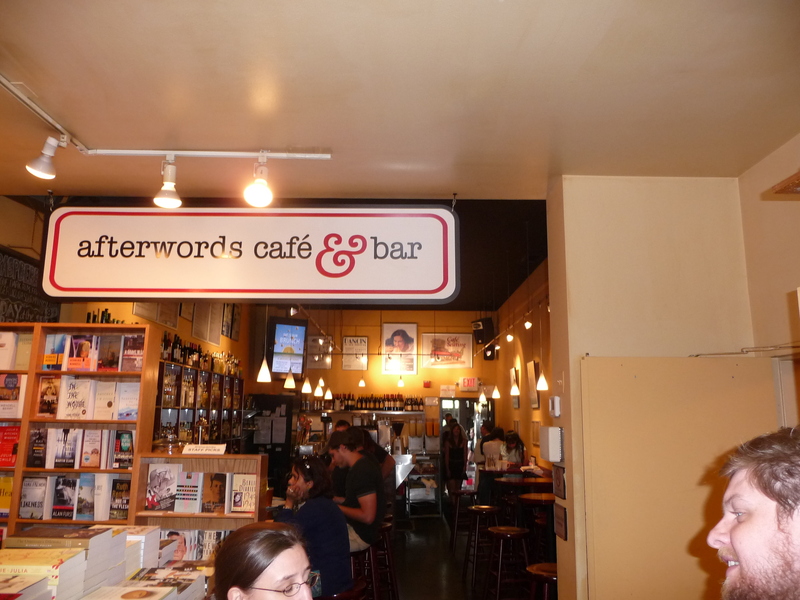 It doesn’t hurt that there is also the the Afterwords Cafe & Bar. This bookstore works similarly to Trident up in Boston in that the bar/restaurant draws in a lot of people on its own. And the tourists! 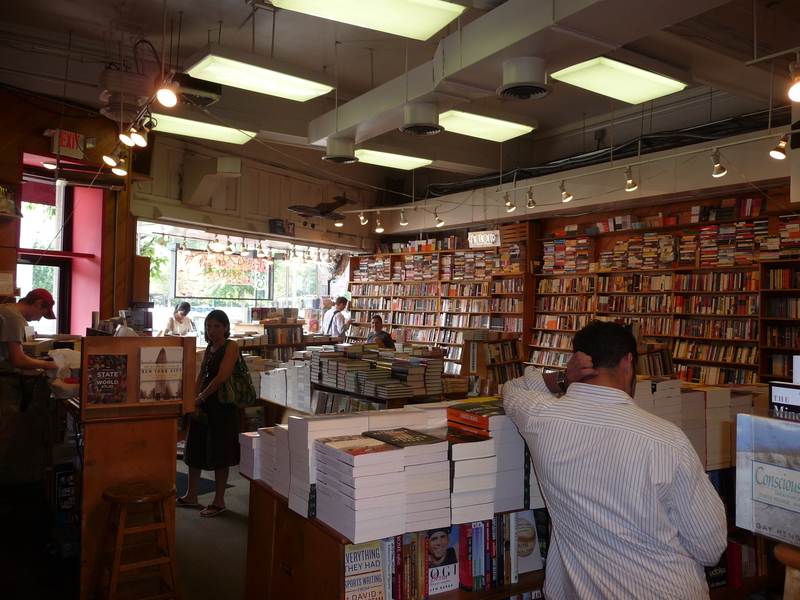 I’m standing inside Kramerbooks for five minutes when my high school English teacher walks in, and it seems like the most natural thing in the world. She’s in town. I’m in town. Where do bookish types end up? Kramerbooks! No sidelines here, only books, magazines, newspapers, and beer. I guess beer is a sideline. No book events either. At 33 years Kramerbooks is a DC institution. They’re open nonstop over the weekend, so keep it in mind if you’re not ready to call it a night!!!! A bookstore and a bar. And apparently a great place to hook up. That’s what the booksellers tell me, anyway. I guess thats a good sideline too. Books, booze, and good lovin’. My new favorite spot in DC. I could go on, but their website has a promotional video and the menu. I’ve been there to eat and shop books–as a tourist I’d guess you’d say. Thanks for posting the name, as I’d forgotten it. I recommend both the food and the books!